Water Heater Repair Regardless of the type of water heater; tankless water heaters, gas water heaters and electric water heaters even when maintained properly, a water heater repair is going to be required at some point. Most last anywhere from 7-10 years. If your water heater is getting up there in years, think about a new water heater installation before the flood! Call us for special water heater repair costs and savings options. 602-354-3648. Slab Leak Repair Many homes in Phoenix are build on a concrete slab where the plumbing runs through the foundations. Over the years, copper plumbing can wear and develop holes that leak water…a slab leak. Eagle Services has sophisticated equipment that allow us to locate the Phoenix slab leak and quickly perform a slab leak repair to get your life back to normal again. 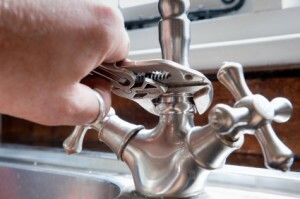 Emergency Plumbing Many emergency plumbing situations occur after hours or on holidays when rates are generally higher. At Eagle Services, we will do our best to save you money by sending an emergency plumber over who may be able to temporarily resolve the problem until regular working hours and then return to complete the repair. When you need an emergency plumber in Phoenix and the surrounding area, Eagle Services is just a phone call away. Plumbing Re-Pipes There are lots of reasons a plumbing system may need a re-pipe. Maybe the home is older and you want to re-pipe to update the plumbing. Or, perhaps you want to switch to copper plumbing. Learn about several other scenarios that a Phoenix re-pipe plumber might recommend a re-pipe. Eagle Services of Gilbert Arizona doesn’t just perform residential plumbing repairs. We also specialize in commercial plumbing in Phoenix and the surrounding areas. Commercial and industrial plumbing projects are often times much more complex and time critical than residential projects…imaging the plumbing backing up in a hospital or critical care facility. These types of commercial plumbing applications take emergency plumbing in Phoenix to a whole new level.